Flashcards are the most popular teaching resources in English classes. They can be very helpful in teaching a foreign language. 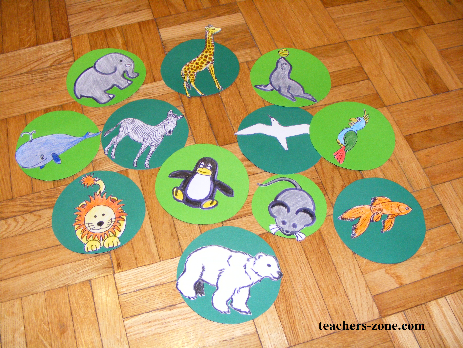 Flashcards facilitate presentation new vocabulary, songs, chants and stories. What is more, they can be used to practise and revise lexical items. For primary students it is the best way to recognize and memorize new words. Flashcards activites are possible to use even in big classes, involve a whole group, are easy to prepare and children have a great fun. The only thing you need is a set of pictures that represent vocabulary you would like to teach.